It might be the place where you live now, or a fantasy of where you’d like to live in the future. It might even be the next home you’re planning to buy. 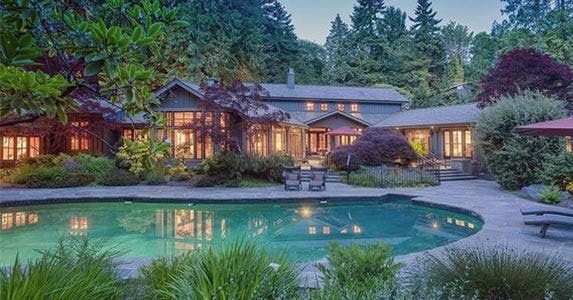 If you need a little fuel for that fantasy, here are a dozen dream homes for sale that do not disappoint — located everywhere from secluded beachfronts to mountainous regions to urban areas. What makes this dream home special: “The transition from the living room/kitchen (area) to the pool through a folding wall of glass doors,” says Russell Firestone, senior vice president of TTR Sotheby’s International Realty. Expecting company? 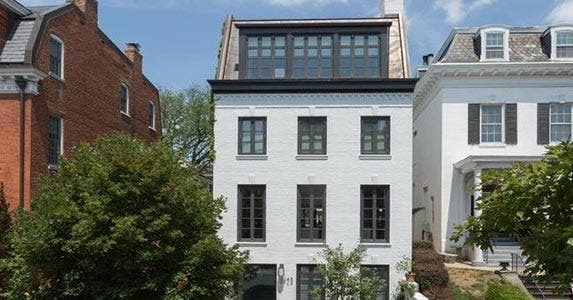 The 4-story Georgetown townhouse, built in 1960, has 6 bedrooms, 4 full bathrooms and 2 half-baths in 5,680 square feet, says Firestone. It boasts a geothermal heating and cooling system, a glass elevator, 5 fireplaces and a top-floor master suite. It also has parking for 4, with a lift. RATE SEARCH: Thinking about buying your dream home? Compare mortgage rates at Bankrate.com today! 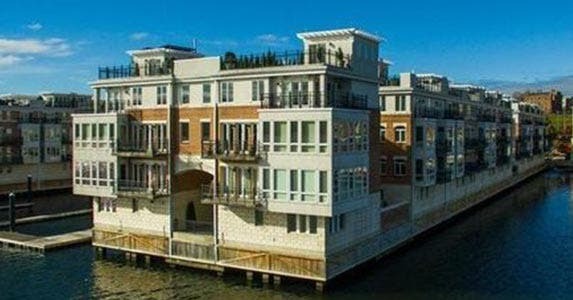 Jutting out 200 feet into the harbor, this Baltimore townhouse literally sits right on the water. Floor-to-ceiling glass walls in every room showcase spectacular views of the city’s Inner Harbor, says Charlie Hatter, co-founder and co-owner of Monument Sotheby’s International Realty. “It makes you feel like you’re on the biggest boat of all,” he says. 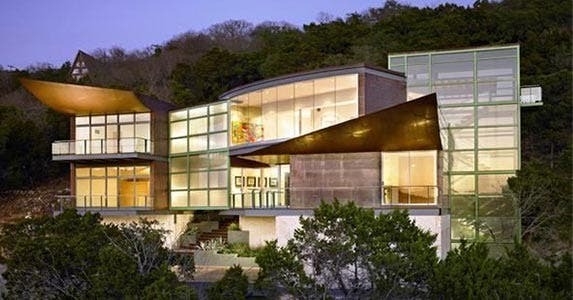 The home is actually 2 townhouses joined by both an open-air walkway and an enclosed spiral stairway. 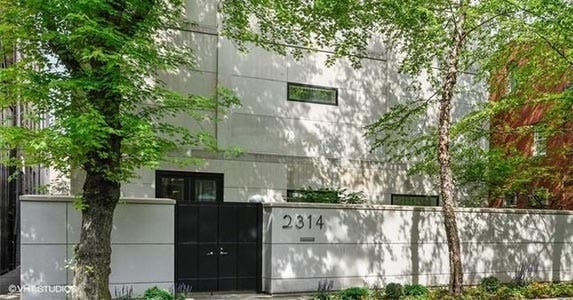 It features 6 bedrooms, 7 full bathrooms and 3 half-baths in 9,069 square feet, says Hatter. It also has a sauna, movie theater, billiards room, parking for 4 cars and a boat slip, he says. There are balconies and outdoor areas off of every room, and the rooftop terrace has a garden, hot tub, lounge areas and “truly the best view in all of Baltimore,” says Hatter. Dubbed “Soaring Wings” for its sweeping eaves, this 2007 house is already a local landmark and served as the backdrop for a yet-to-be-released Hollywood movie, says Russell Martin, broker with Keller Williams/Austin Portfolio Real Estate. The house, which has floor-to-ceiling windows in almost every room, took 4 years to build and includes a lot of one-of-a-kind touches. The soaking tub in the master bath was carved from a single piece of black granite. It was lowered into place, and that side of the home was built around it, says Martin. The tub sits on a bed of river rocks overlooking a private zen garden. The house has a total of 4 bedrooms, 4 full baths and 2 half-baths in 6,069 square feet, and sits on just over an acre-and-a-half of land. Who doesn’t dream of keeping a place in Maui to enjoy the island breezes, walk the beach and swim or surf? 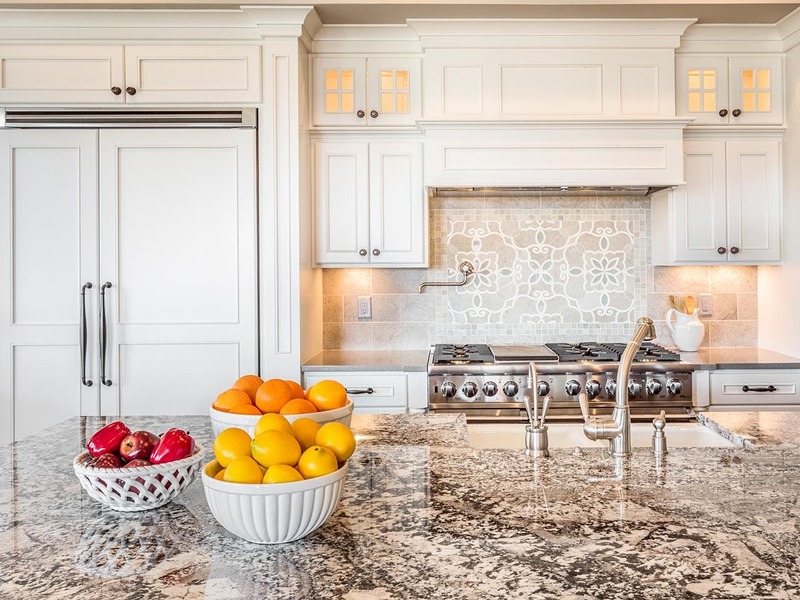 Custom-built in 2004, styled with traditional Polynesian design,”there’s really nothing else like it,” says Meghan Clair, Realtor and EcoBroker with Coldwell Banker Island Properties. The main house has 2 bedrooms and 4 bathrooms. Want to invite a few guests? It also has its own 2-bedroom, 2 1/2-bath guesthouse with a gym and a 2-car garage. RATE SEARCH: In the market for a home loan? Compare mortgage rates at Bankrate.com today! This one is definitely more than a room with a view. 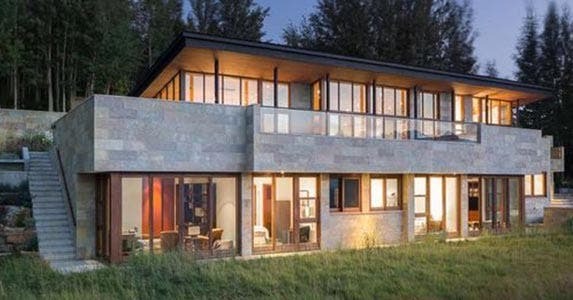 Set amid the Grand Teton range with floor-to-ceiling windows, it has spectacular views in every direction, says Julie Faupel, owner and associate broker for Jackson Hole Real Estate Associates — Christie’s International Real Estate. “That level of privacy with these views is almost impossible,” she says. Built in 3 terraced levels, it actually steps up the mountain. In the 2-story main living area, panoramic mountain vistas on 3 sides compete with a dramatic 2-sided fireplace faced in green Kota stone. The house has 4 bedrooms, 5 1/2 bathrooms, and 6,489 square feet on a little more than 4 acres. 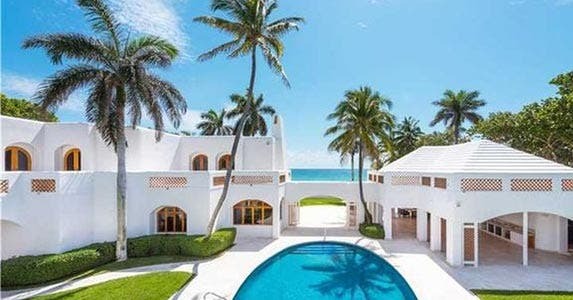 Just off the beach amid swaying coconut palms, this white-washed Mediterranean villa surrounding a deep blue oval pool is “a wow,” says Jill Hertzberg, associate broker with Coldwell Banker Residential Real Estate (Miami Beach). Built in 1941, the home combines the architectural glamor of an earlier age with such modern amenities as a movie theater, gym and barbecue cabana. It has 6 bedrooms, 7 full bathrooms and 2 half-baths, she says. It sits on just less than 1 1/2 acres. The open-air entertainment pavilion accommodates 200 guests comfortably. If anyone wants to stay over, there are 2 guesthouses with additional bedrooms and bathrooms, plus the price includes a second home next door, she says. And it’s not your typical backyard, says Hertzberg. “You’re right on the sand.” At 225 feet of beachfront — it’s a nice long stretch of sand, too. This estate is a craftsman compound with a definite Northwestern influence. Built in 1919 using reclaimed and local materials, the house is situated around the free-form pool and slate patio, and surrounded by green lawns, lush vegetation and flowering plants and trees. It has 4 bedrooms, 5 bathrooms and 5,800 square feet on just less than an acre. The sleek modern master bathroom has a freestanding soaking tub and wall-mounted TV screen. The home also has a yoga room, a mud room with a dog-washing station and a guest cottage. RATE SEARCH: Looking for your own oasis? 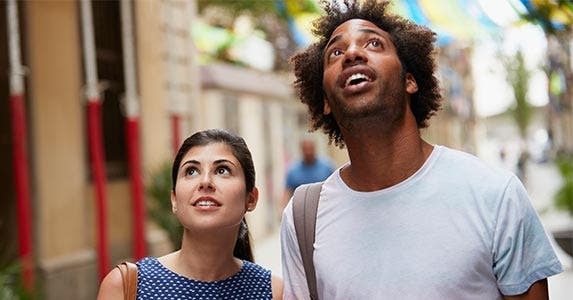 Compare mortgage rates at Bankrate.com today! Who hasn’t dreamed of living beachfront in the Caribbean? 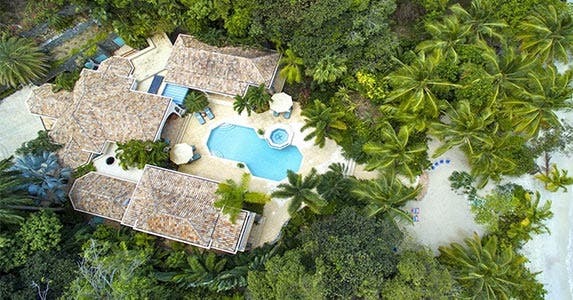 Built in 2002, this traditional Caribbean-style villa overlooks a tranquil bay. With its pastel facade, tiled roof and arched porticos, the home surrounds a courtyard with a private pool and spa. It has 3 bedrooms, 3 full baths, 1 half-bath and 6,596 square feet on 1.1 acres. This contemporary home is a green oasis in the city. 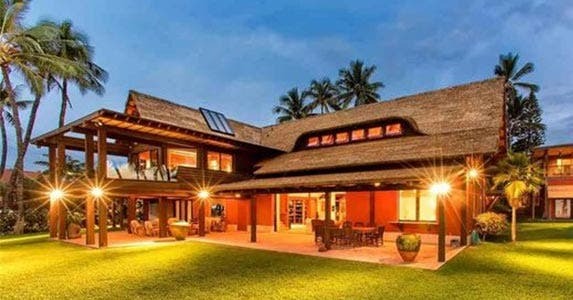 “It’s mind-blowing how beautiful it is,” says Chezi Rafaeli, broker with Coldwell Banker Residential Brokerage (Gold Coast). The house has 2-story ceilings with a thoroughly modern floating spiral staircase, and floor-to-ceiling windows overlooking a lush courtyard with room for entertaining. It also has a gym, a rooftop deck and a marbled bathroom with multi-head shower and Japanese-style soaking tub. 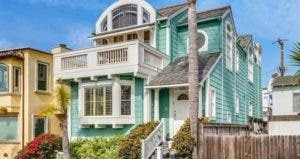 Built in 1991, it has 5 bedrooms, 4 full bathrooms, 2 half-baths and 2 home offices in 6,500 square feet, plus an attached 3-car garage. 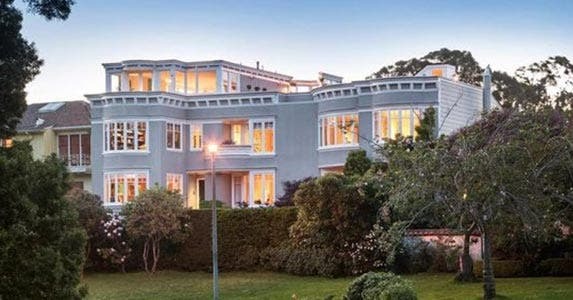 What’s a dream home in San Francisco without views of the city’s famous landmarks? It has 5 bedrooms, 6 bathrooms (4 full and 2 half-baths) and 7,000 square feet, he says. The interior features numerous bay windows, hardwood floors, high ceilings and plenty of crown molding. It has an elegant spiral staircase with a wrought-iron railing. But for those who like convenience, there’s also an elevator. Built in the 1940s, the home also has a modern feel. Large windows reveal lots of light and views of the city, the bay and the mountains. An airy upstairs entertainment area with a gas fireplace features a wall of windows that frames views of the Golden Gate Bridge. It opens to 2 balconies and a “massive” rooftop deck with a spectacular panorama and room to gather, says Fichelson. Facing the water on two sides, this estate juts out into Coronado Bay like the prow of a ship. 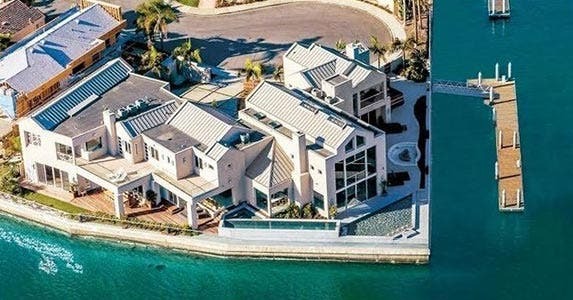 Walls of glass reveal over 300 feet of water frontage, which includes a private dock, says Jay Becker, director of the luxury and coastal group with Pacific Sotheby’s International Realty. But if that’s not enough tranquil blue water, it also has a dipping pool, a lap pool and a spa. Originally built in 1989, this “very contemporary” house was rebuilt in 2015 and features “clean lines,” skylights and water views from “almost every single room,” he says. It has 8 bedrooms, 7 full bathrooms and 2 half-baths in 9,380 square feet, and sits on just over a third of an acre.